It is a real pleasure and a bonus of my Bushcare work to find new species to add to our Flora and Fauna of Mt Gravatt Conservation Reserve. 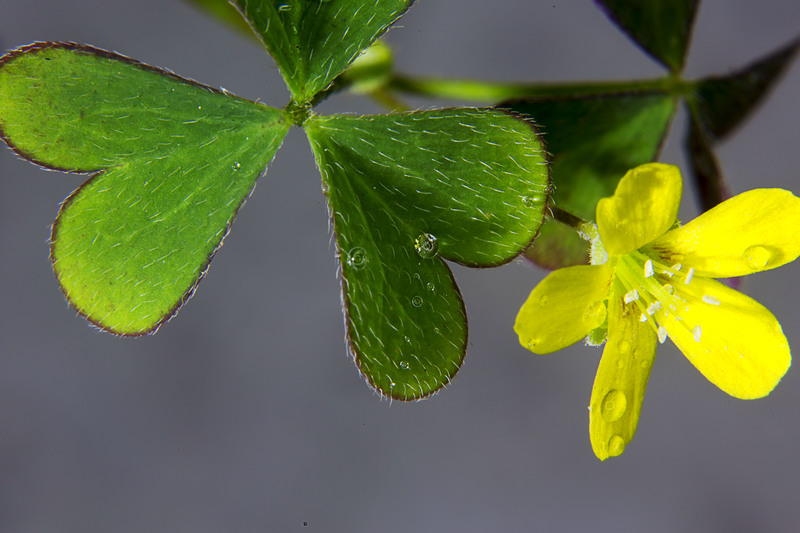 Today, botanist Ann Moran, identified the plant I photographed yesterday as Large Tick-trefoil Desmodium brachypodum a new addition to our list of plants found in the Reserve. 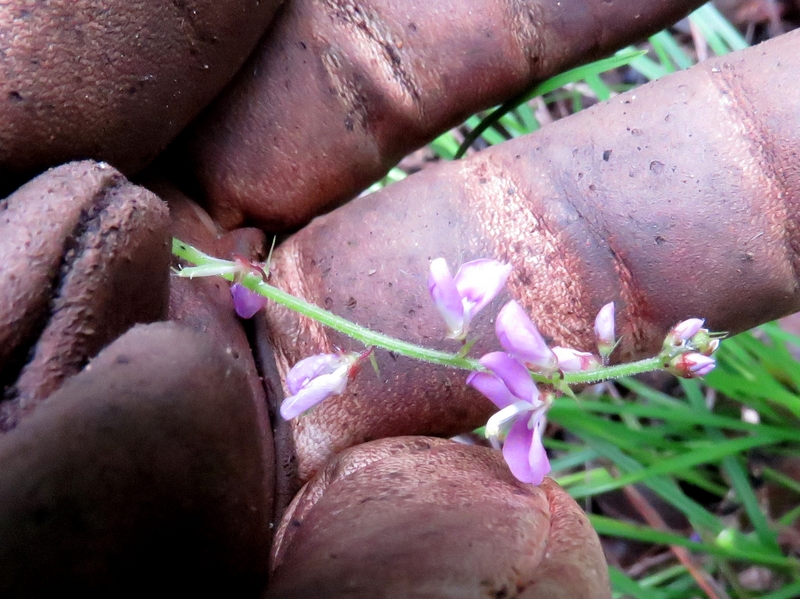 Finding Large Tick-trefoil means we now have two hundred and eighty three native plant species identified in the Reserve. 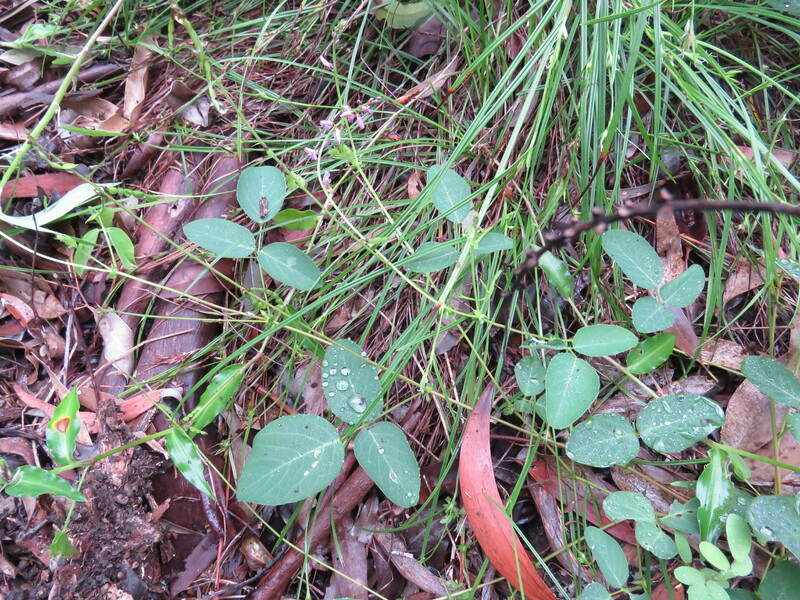 Equal to 20% of the total native species found in the 32 million hectares of the United Kingdom, two hundred and eighty three native plant species is an excellent measure of the species diversity found in Mt Gravatt Conservation Reserve. 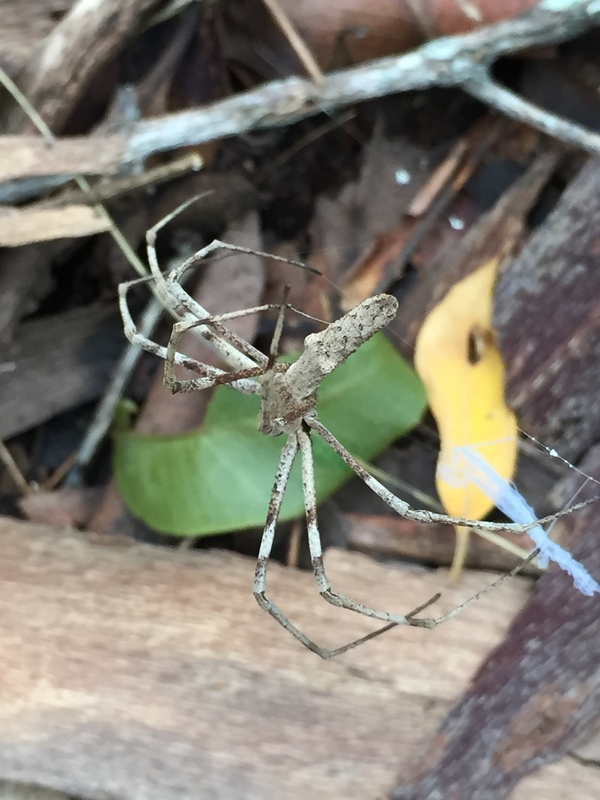 This morning’s find was a different species of the curious Net Casting Spider Deinopis ravida. The two bumps on its sides identifies this as a female. Net Casting Spiders have a unique way of catching breakfast. They sit with their web held between their front legs ready to quickly spread and trap prey. See the web on lower right of photo. Watch the action in slow motion: Youtube video. Up Close – That leaf is very hairy! 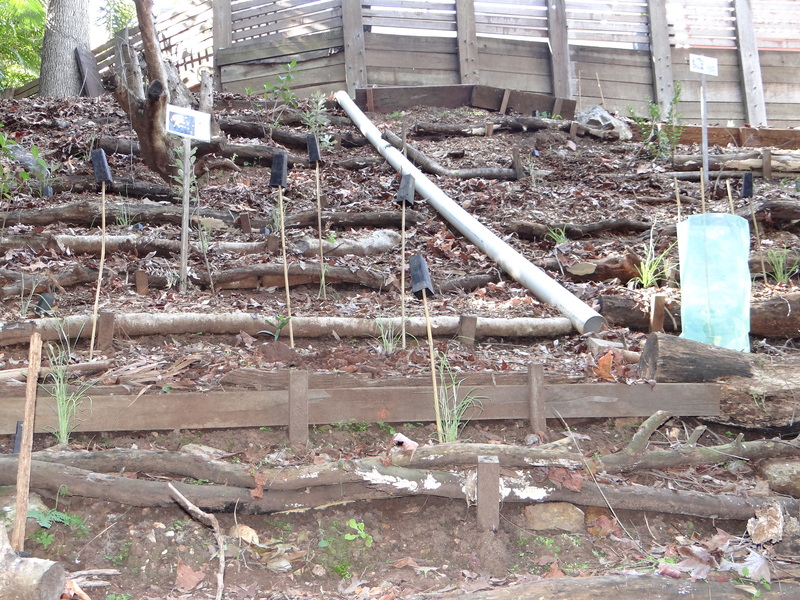 I am currently checking and uploading our research Flora & Fauna of Mt Gravatt Conservation Reserve. Keep checking for updates. 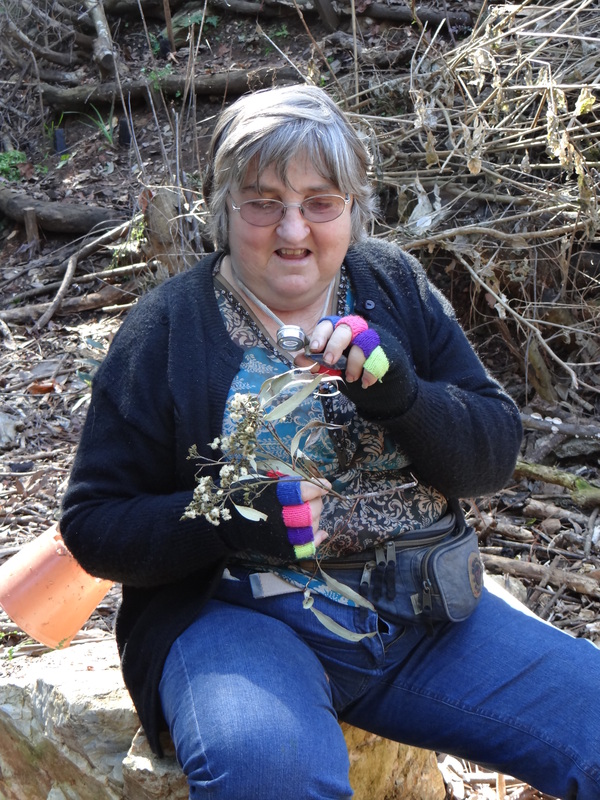 Botanist, Ann Moran, has generously checked our first couple of files and we gained another native species bringing our count to 270 native plant species in the Reserve. 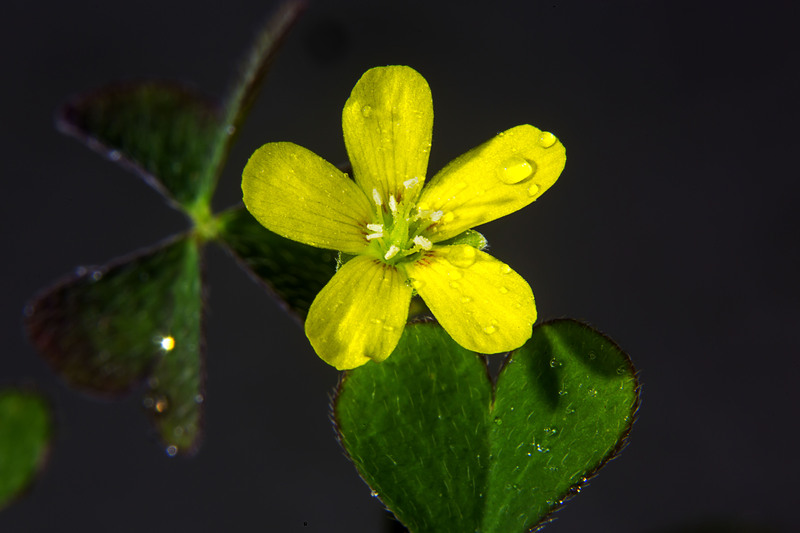 I had photographed and identified what I thought was Creeping Oxalis Oxalis corniculata, a weed. Ann took one look at my photos and said that is the native herb, Hairy Oxalis Oxalis chnoodes. Hairy Oxalis? When I had a close look I found the leaves of our local plant are very hairy. To be able to show this curious plant to community members we needed some real close-up pics … time to call in Alan Moore our local photography guru. 7:45am The first participants have arrived even before I have finished setting up … and it’s cold! – food plant for Sugar Gliders, and trees like the Blueberry Ash Elaeocarpus reticulatus with its fascinating pretty pink downward facing flowers. Downward hanging flowers are a valuable food source in rainy periods when nectar is washed out of Banksia and Grevillea flowers. 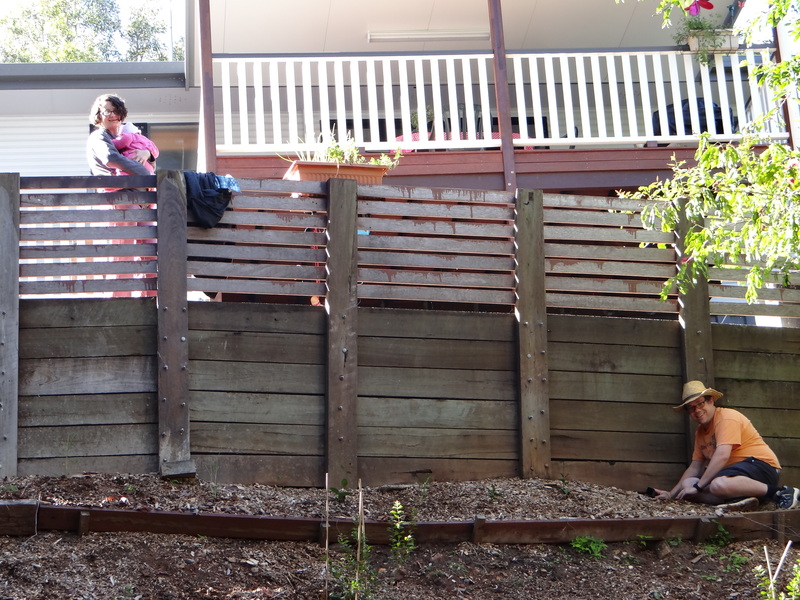 9am Planting is well underway with people scattered all over the slope. Ross Vasta MP Federal Member for Bonner and gully neighbour Barry work together planting a large Hickory Wattle Acacia disparrima. 9:50am Must be time for morning-tea. Looking around it is a real pleasure to see our neighbours engaged in a cooperative effort to restore this corridor for our wildlife. Three generations of the Fulton family have been strong supporters of our restoration work with members involved in every planting day since 2008 when they planted two trees in memory of Lyn’s mother. 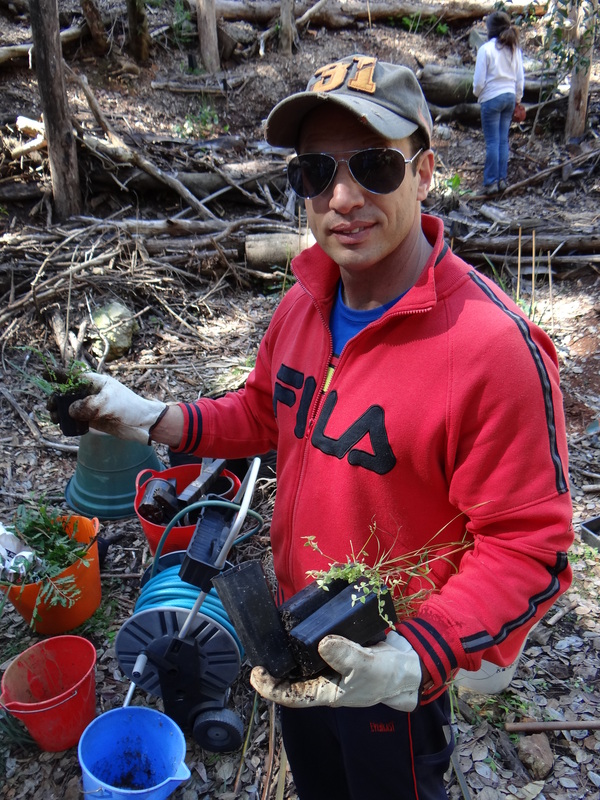 Ray has also propagated Lomandras and potted Acacias that are now thriving in bushcare site. 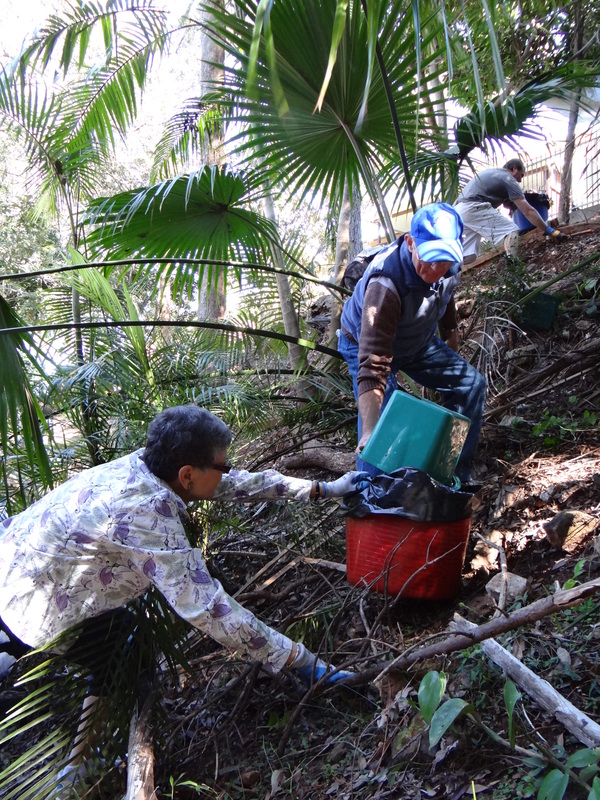 10:45am Planting is almost complete so the team starts moving up the gully clearing Madeira Vine anredera cordifolia and Devil’s Ivy Epipremnum aureum. Madeira Vine is a major problem in the gully, smothering trees and spreading aggressively with hundreds of potato like tubers which can each shoot into two or three new vines. Devil’s Ivy or Pothos is another invasive weed in the gully, climbing and dragging down trees. Devil’s Ivy, a common house plant, is also toxic to dogs and cats. 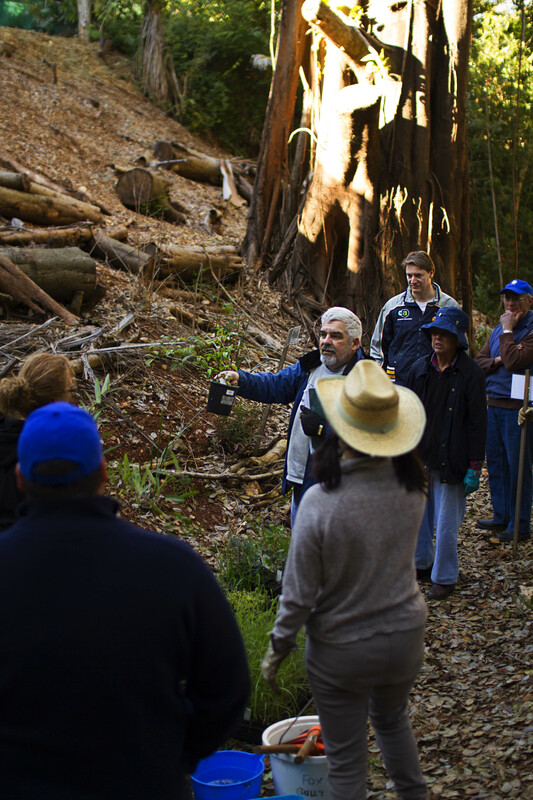 10:50am Further down the gully Ann Moran a Field Botanist with decades of experience, generously shared her amazing knowledge of our native plants. 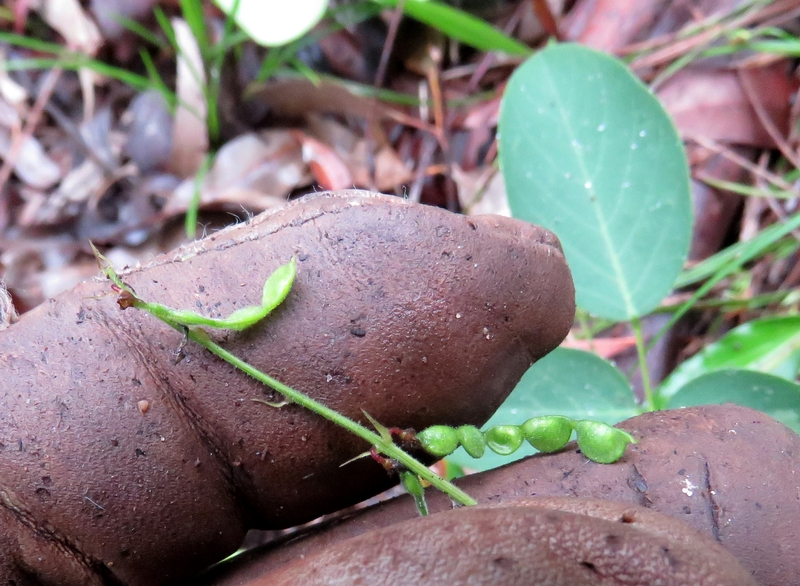 I didn’t realise what looks like multiple leaves on the Black Bean Castanospermum australe are actually one leaf and if you sniff the end of the stem it smells of cucumber. 11am Installing our first nest box. Logging and farming of the mountain habitat means that the forest is less than one hundred years old. Nest hollows typically start to form once trees are over one years old and then can take another fifty years to create. Therefore there is a shortage of nest hollows available for birds and gliders. 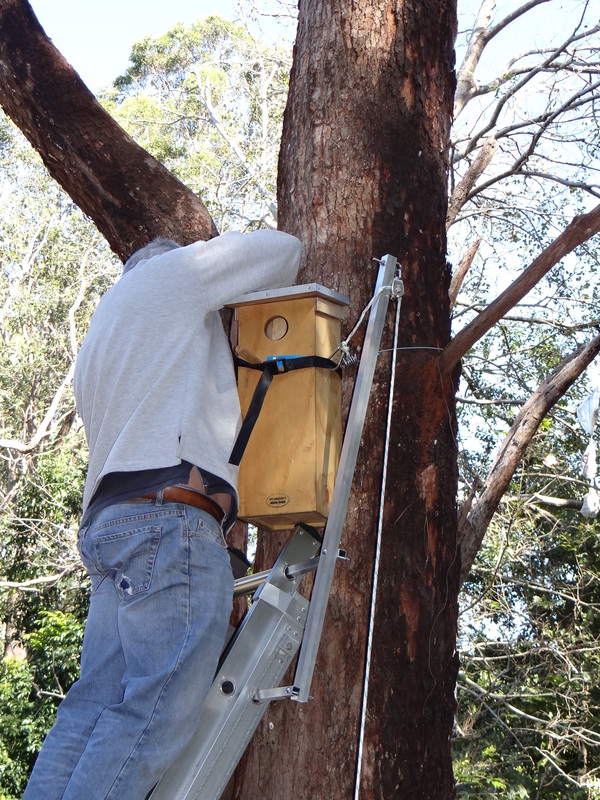 Mt Gravatt Men’s Shed have now partnered with Mt Gravatt Environment Group to produce high quality nest boxes designed to the needs of local species. Scaly-breasted Lorikeets – all green with flecks (scales) of yellow on the chest, are smaller than Rainbow Lorikeets and have lost out in the fight for available tree hollows. This box with its smaller entry hole which excludes the larger birds will remain available for our Scalies. 11:20am Native grasses like Rainforest Grass Oplismenus aemulus, Graceful Grass Ottochloa gracillima and Scented Top Grass Capillipedium spicigerum operate as Green Mulch suppressing weeds, retaining moisture and reducing erosion. These grasses are also caterpillar food for butterflies like the Orange-streaked Ringlet. Andrew get special attention from the photographer: his wife Kerry. A participant in our 2011 Photography Workshop has developed a real skill in capturing the moment and the wildlife. 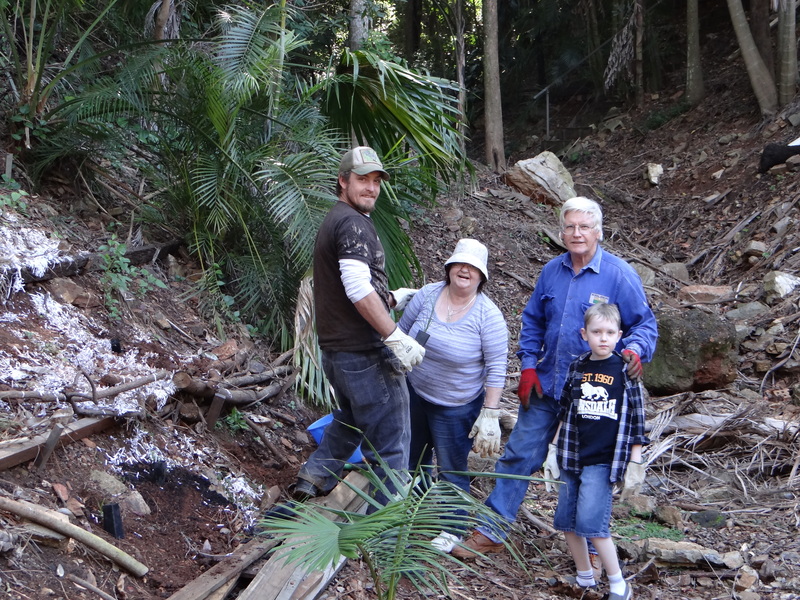 11:30am Susan Jones, Mt Gravatt Environment Group Secretary, pitches in with gully neighbour Don to remove Madeira Vine. 12noon Over 200 plants in place. Now we hand over the nature to complete the job. 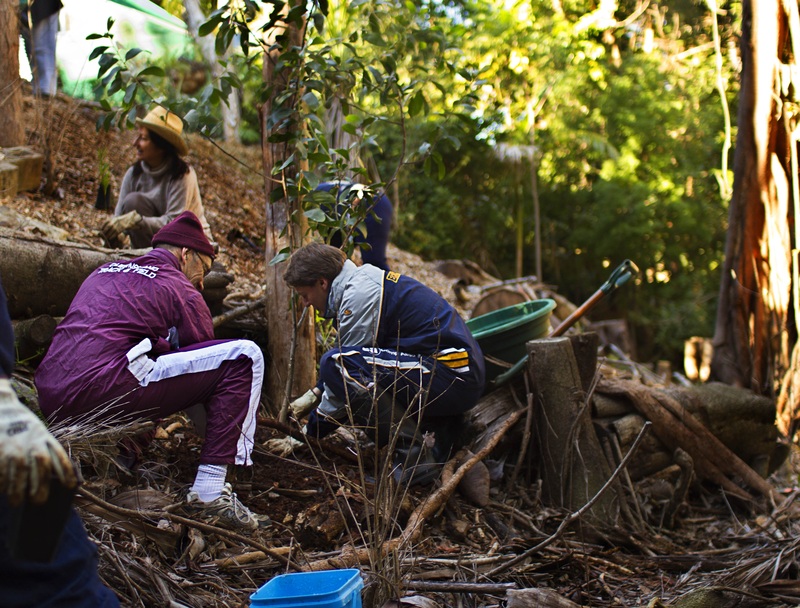 Come back for the 2013 Community Gully Day to see the results of our partnership with nature. Thank you to all participants. It is inspiring to be part of such an amazing community event. 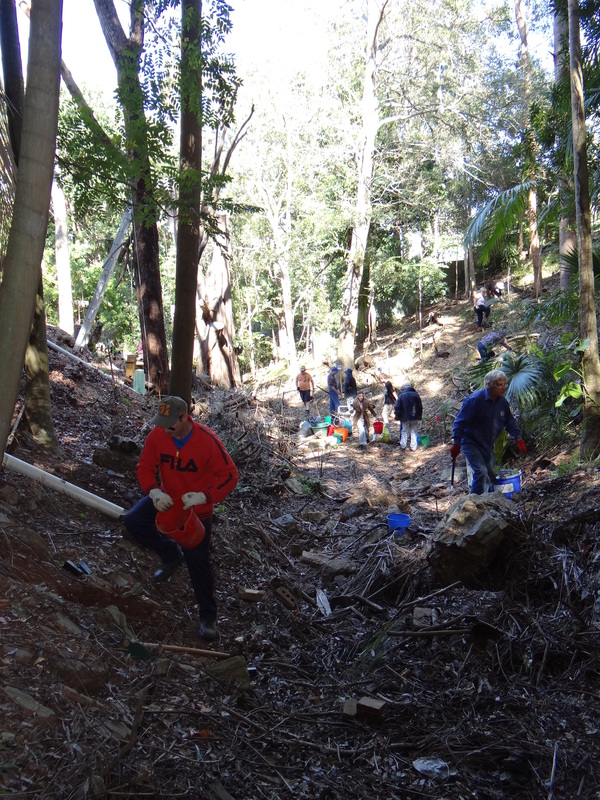 Also thank you to Annette & Genevieve who hosted the event, Don & Clair, Ray & Lyn and SOWN who donated plants and Jason & Tash who donated timber for the slope. Some neighbours who were unable to participate on the day made tax-deductible donations that paid for the tube stock.